Some brands have a way of capturing an enduring nostalgia through an iconic character. There’s Ronald McDonald, the Michelin Man and the Green Giant amongst others. Thinking about your own brand or company; as your strategy and awareness grows, it becomes even more important to define the character of your brand as part of your unique selling point. Firstly, we are all big fans of the brand, both as consumers and as designers and that is where the responsibility became apparent, we were working with a national institution. AMP Visual has established a long relationship with Tayto and it is because of the innovation and constant creative drive that has kept the brand as a first, with consumers. 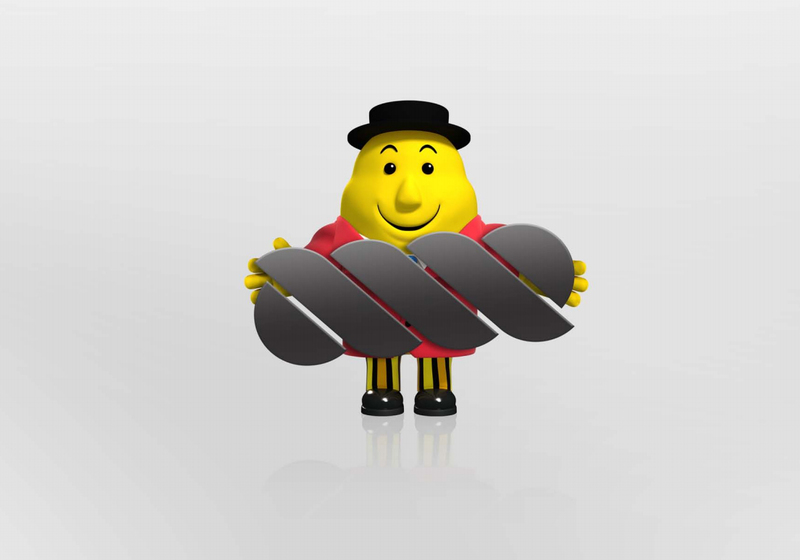 As with any project, evolution and strategy was key in developing the brand, hence why Mr. Tayto became the Brand Ambassador for the new direction. From the best selling ‘The Man inside the Jacket’ biography to the hugely successful Tayto Park, our aim was to keep Mr. Tayto as the main feature of this incredible and much loved product. But first, our character had to evolve. The original flat two dimensional form had to make way for our new contemporary 3D model, whilst maintaining its iconic recognisability.